FabLab is a creative laboratory and an open platform for designers, developers, artists, students and the general public. It offers space for familiarizing with and technologies of digital fabrication of 21st century. This global concept was launched in Slovakia thanks to Slovak Technical University and French Institute of Bratislava. Originally we were contacted for website design but during creative dialogue we managed to persuade the client to change the whole visual identity. We have done our best and we think that the client is happy with result, too. 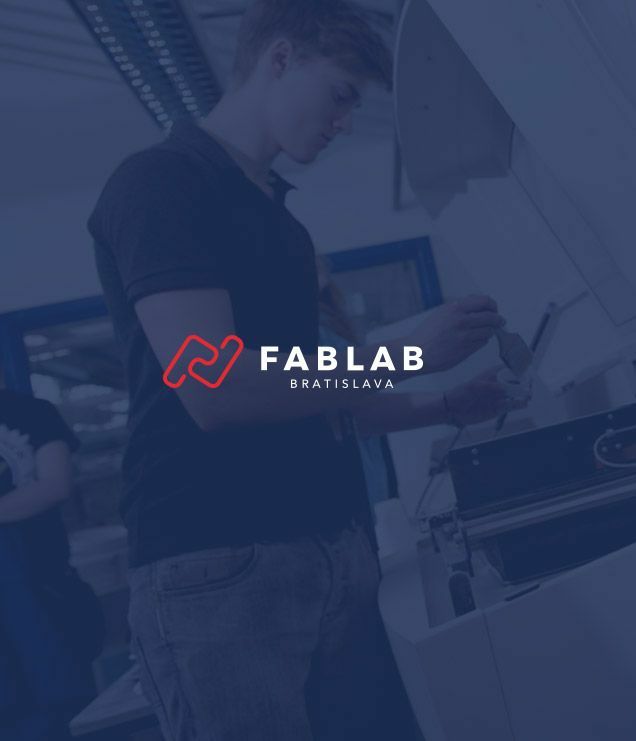 FabLab Bratislava is gradually becoming a brand that is visible at various art and design forums. WEBSITEWe only created the graphic design of the website. Website development and administration was taken care of by the client with the help of students at Faculty of Information Technologies in Bratislava. Identity also contains set of custom icons.